With 35 plus years of experience in the oil and gas industry, Al Şehsuvaroğlu is equally at home in North America, Europe, the Middle East, Central Asia and Africa. The former nuclear engineering graduate turned global strategist currently resides in France and can trace his successful career path back to his time attending Cowley College in Arkansas City, KS. Al was born in Istanbul on January 1, 1955 to Professor Dr. Bedi N. İ. Şehsuvaroğlu and Leylâ Günseli (née) Pirigil. His father was a professor of History of Medicine and Deontology and his mother a lyric soprano, a poet and a highly accomplished painter. Growing up, he attended a couple of local grammar schools, then a school in London and a Jesuit boys’ middle school, followed by civil and military schools in Istanbul, and finally finished high school in Arkansas City, Kansas. While in high school in Istanbul, Al was selected to take part in an international scholarship entry exam in 1971. He won the exam and received a scholarship provided by American Field Services (AFS) which linked willing host families with academically strong students from around the world. While attending Ark City High School, Al lived with Ed and Margaret Gilliland. Mr. Gilliland was a member of Cowley College’s first Board of Trustees and was also the first president of the Cowley College Endowment Association (now Cowley College Foundation). “Living with them was an incredible good fortune on my part,” Al said. Al had to go back to Turkey for at least one year as part of the conditions of his AFS scholarship. There he enrolled in Bosphorus University (formerly called Robert College). He returned to Cowley College in the fall semester of 1974. While at Cowley he was chosen to be in “Who’s Who, in American Junior Colleges” in 1976 and did some freelance writing for the school paper. However, his initial year at Cowley was financially hard, but thanks to the thoughtful gesture of then president Dr. Gwen Nelson, he was given a one-time scholarship and a part-time job on campus, which helped him to pay tuition, room and board. Al has fond memories of former Cowley Physics instructor Dr. Phil Braun and chemistry instructor Dr. Mike Watters. “I remember visiting with Dr. Watters on one of my return trips to Ark City, when he reached over in his book case and pulled out a couple of my old lab experiment notebooks. He told me that they were so neat and tidy, he kept them as an example to show new students on how experiments should be done and notes should be kept,” Al said. After receiving an Associate’s Degree from Cowley College in 1976, Al went on to obtain a nuclear engineering degree from Kansas State University in 1978. The only higher education establishments offering undergraduate nuclear engineering in the USA in those days were MIT, University of North Carolina and Kansas State. After graduating from K-State, he went to work for Halliburton International. Following his initial year, training as an EIT in Duncan, OK, he got sent to Algeria, France, Holland, Texas, Scotland, London, Paris, and Kazakhstan over the ensuing 24 years, going from a Field Engineer to General Manager of Operations. Later in 2001, he was recruited into a start-up oil company as a Senior VP of Operations in Kazakhstan and then worked as a CEO and President of two additional start-up public oil & gas companies in Kazakhstan and Tasmania, respectively. In 2008, he started his own energy consultation business. As a registered professional petroleum engineer, one of his jobs is to perform reserve audits and assessments for oil and gas companies. As such, he became knowledgeable in the application of PRMS 2007 (Petroleum Resources Management System) in reserve classifications and thus became the only such qualified engineer in Kazakhstan. When the Kazakh government decided to upgrade their reserve classification and assessment system from RS 2005 (Russian Standard) to PRMS 2007, Al was the natural choice to advise the Energy Minister and the Competent Body of the Republic of Kazakhstan. 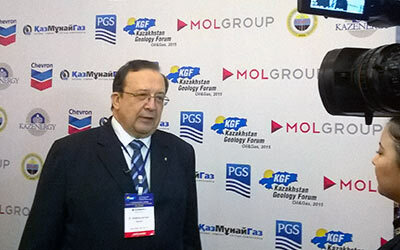 He was invited as a panelist for the third Kazakhstan Geology Forum, which took place in Astana (capital of Kazakhstan) on March 2015 and subsequently following the session was interviewed by the Kazakh national TV. The presentation was on how to transform Kazakhstan’s outdated hydrocarbon resources auditing and reporting system into something more acceptable by western institutions and banks, i.e. to something akin to Petroleum Resources Management System (PRMS) 2007. The proposal has since been accepted and adopted by the Kazakhstan government and the legislation should be in place by late 2017. “I remember taking ‘Speech’ classes at Cowley the first year, which were very helpful in preparing me to get on and stay on the stage of “life’s theatre”, Al said. Al recently finished a six-field oil and gas reserve audit for a Korean oil company, in which he was assisted by the geology and geophysics company Petroleum Geosciences (Kz). 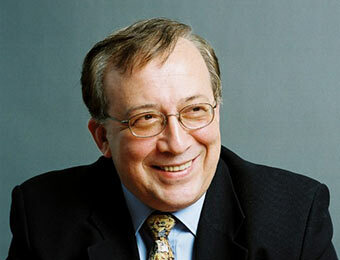 He has since submitted – on behalf of a group of Kazakh technical institutes – a technical pre-qualification bid to EBRD (European Bank of Research and Development) who is financing a project to re-write the sub-surface legislation for the government of Kazakhstan, taking into account the new rules for PRMS 2007. The proposal is to have Al as the Team Leader, and the project, if accepted, would take around 18 months to complete. Having lived in numerous foreign countries over the past three decades made it difficult for Al to visit Ark City. However, he has made a point to attend his high school reunion every five years. At his insistence, Al’s high school graduating class recently had an odd-year ‘Class Reunion’. Since he had attended all of the class reunions except the 40th, Al and several of his classmates got together in this, the 43rd year. Al and his wife, Rose, live in Nice, France. The couple have three children: their daughter Séverine lives and works in Los Angeles, while son Douglas lives and works in London and son Christopher recently received his Bachelor’s degree from London Metropolitan University and should be going back to London to get his Master’s next year. As a senior at Ark City High School, Al used his free Honor’s Passes to study freshman Physics at Cowley College. “Cowley set the foundation, which later became my full time occupation as an engineer, both in nuclear and petroleum industries,” Al said. Grateful to the school that set him on his path, Al has since developed an Endowed Scholarship at Cowley College in honor of his father, Bedi.